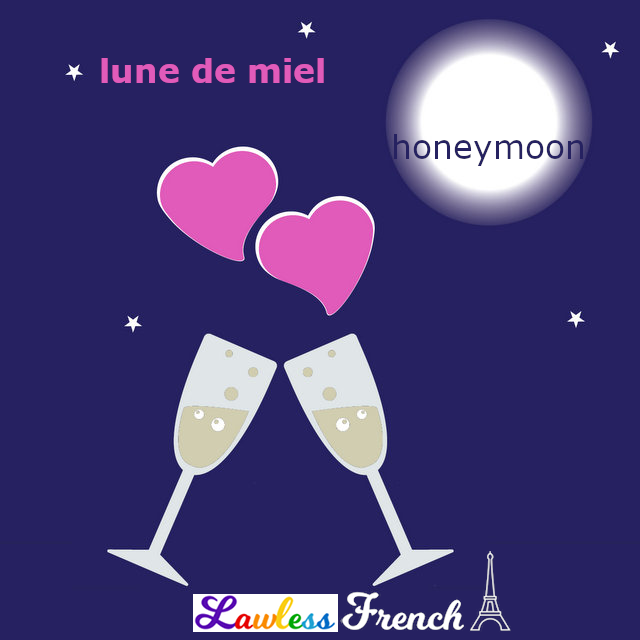 Usage notes: The French expression la lune de miel technically refers to the lunar month (29 days) immediately following a wedding, when the couple is madly in love and everything is wonderful (at least in theory). Perhaps due to the influence of English, lune de miel has come to mean the trip newlyweds take right after the ceremony, but since this “honeymoon” usually takes place during the "moon of honey," and is therefore part of it, the more accurate French expression for the trip is voyage de noces. Nous sommes partis en Italie pour notre lune de miel. We went to Italy for our honeymoon. Ils ne vont pas partir en lune de miel. They’re not going on on a honeymoon. 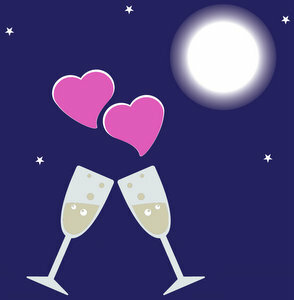 Lune de miel / honeymoon can be used figuratively when talking about a high point or pleasant beginning of a relationship. Après la dispute avec notre nouveau chef, la lune de miel était finie. After the argument with our new boss, the honeymoon was over.